It has been almost three months since I received brand new kicks from Asics South Africa. Since then, I have literally been gliding on the road in the Asics Gel Pulse 9. 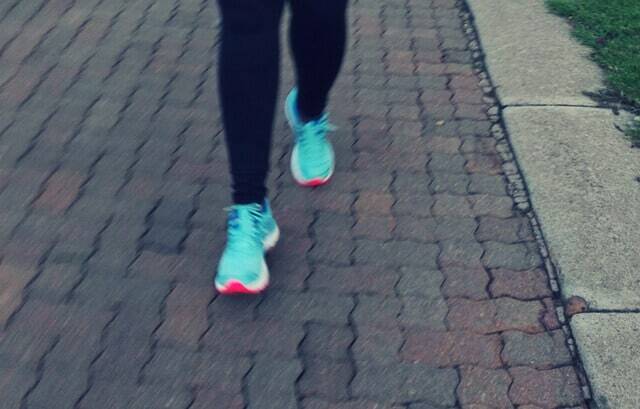 The shoes have so far helped me to effortlessly hit two personal 5k bests. 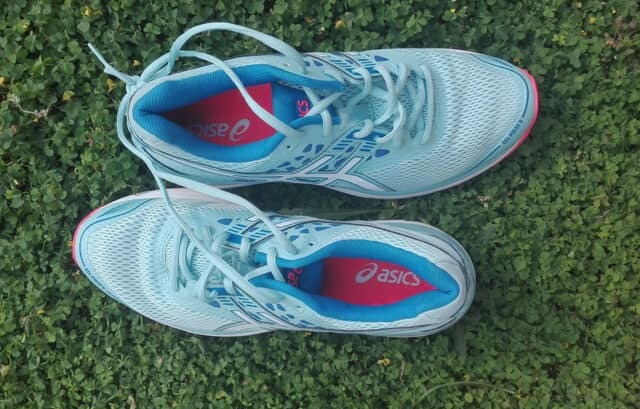 I have covered a distance of 45 kilometres thus far in these shoes and now feel that at this point, I can share with you a thorough review of Asics Gel Pulse 9. 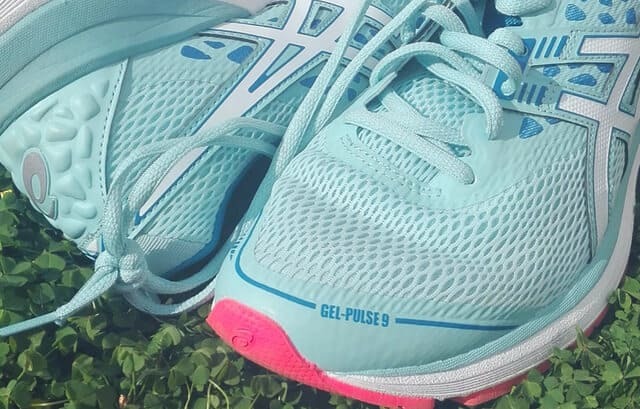 If I were asked on the spot to summarise my experience with the Asics Gel Pulse 9, I would say that it is an affordable, practical, beautifully lightweight and comfortable shoe built for short to medium distances runs. 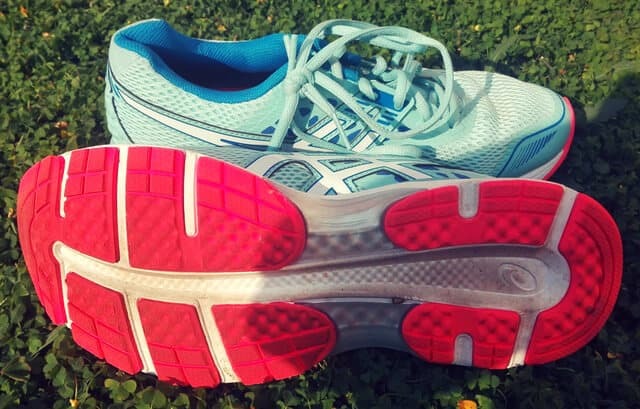 Now, let’s get into a detailed Asics Gel Pulse 9 running shoes review. My normal shoe size is 7 (UK 41, US 8). When Asics asked me what my shoe size is, my answer was size 8 because I usually go one size up when buying running shoes although it is often recommended that one goes half a size bigger. Straight out of the box, the shoes were very tight- I had to double check the size label to see if I had indeed received size 8. Despite being tight at first, the shoes didn’t take a long time to break in. I walked around my house in the shoes for a couple of hours the first day and the second time I wore my Gel Pulse 9s, I walked for less than a kilometre around my bock. After that, the shoes did feel loose and comfortable enough to run in. Quick Tip: You should never run a race in new shoes. You need break in your new running shoes by walking around in them until they are loose enough for a run. First of all, the colour of my shoes (porcelain blue, white and Victoria blue) is simply beautiful, it was really love at first sight with this pair. I understand that we all have different tastes and if this colour doesn’t tickle your fancy, there are five other stunning colours available in the women’s range that you can choose from. The grip on the Asics Gel Pulse 9 is totally impressive. On one of the days that I ran in the shoes, it had just rained and so the ground was quite wet. In the past, I have owned shoes that just make it really hard to run on wet ground. The Gel Pulse 9 is one of those superior shoes that you can run in, come rain, come sunshine. I experienced no slipping or sliding while running on the wet tarmac. Pure bliss! Breathability and fit are some of the important factors that can make or break a running shoe. The Asics Gel Pulse 9 upper is partly air mesh and partly synthetic leather. The light mesh allows for ample airflow, while the synthetic leather holds the mesh together, giving it that ‘snuggly hug’ kind of fit that prevents any kind of sliding inside the shoe. The cushioning in the Asics Gel Pulse 9 is neither thick nor light. The shoe has just the right amount of cushioning needed to absorb impact during the runs, as well as provide overall comfort. 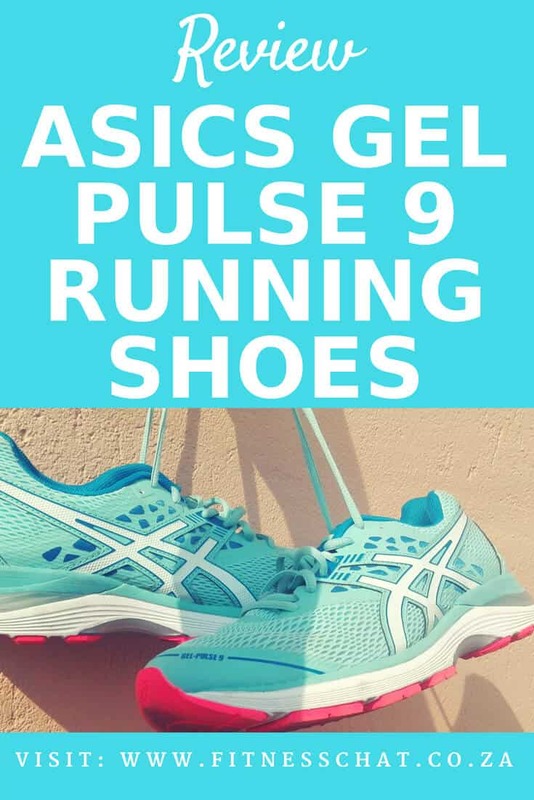 You might want to know that the Gel Pulse 9 has Asics’ signature GEL in the heel of the shoes for superior shock absorption combined with the SpEVA midsole which gives the runner a comfortable cushioned ride. Another thing I loved is that the insoles are not glued to the shoes so if at any point you feel that the need to remove and replace them with podiatrist recommended insoles, you can easily do so. 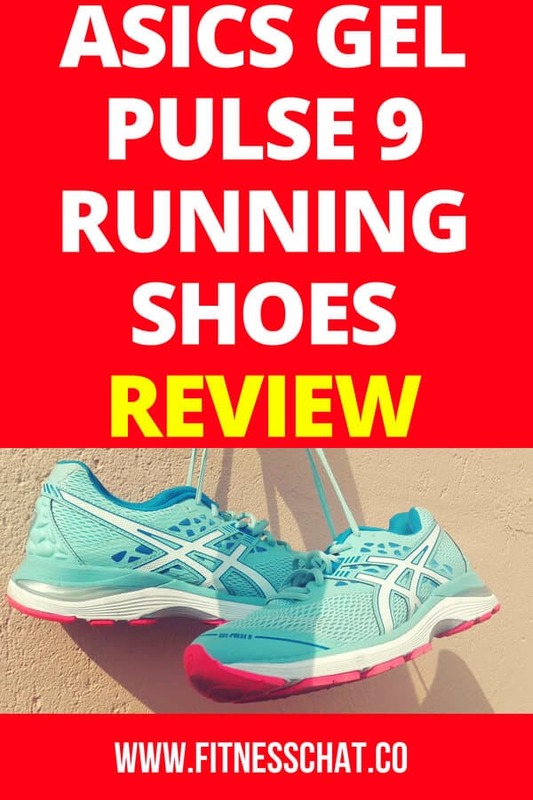 While I really love, love the Gel Pulse 9, I have to also say that this shoe might not be the one for you if you have fairly wide feet because it runs a bit small. Other than that, there are no other disadvantages to this shoe. If you are in South Africa, TotalSports or Sportsmans Warehouse are the lead stockists of the Gel Pulse 9 as well as all other Asics shoes. You can also buy the Asics Gel Pulse 9 and any other Asics running shoes on Amazon. If you are a beginner or short distance runner, this is the best running shoe for you. 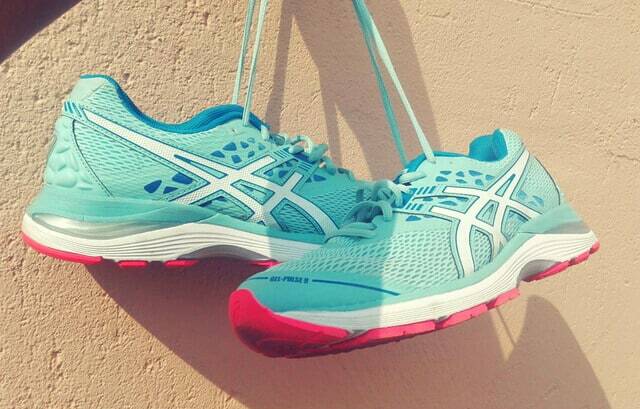 I can assure you that you will have plenty of happy rides in the Asics Gel Pulse 9. I would like to hear your thoughts. Are you a short distance runner? What do you look for when buying your running shoes? Let me know in the comments section. Always like an honest review. Like the looks of these shoes. Comes down to comfort and support and will they last. Great shoe. I don’t run, but walk for exercise. It’s not easy to find running shoes with removable inserts for orthotics and I love how these have that feature. I love the color of those Asics! I’m not that great of a runner. I do love to walk and I also go up a size when buying walking/running shoes. These sound like great shoes. I really love the color! I need to get a new pair. I jog daily, so I need shoes that are comfortable. I don’t run. I have heard of Asics and that gel is comfortable, a good level of comfort would be important to a runner I’m sure. I actually need new shoes. The ones I have now are about four years old and I know they are well loved and worn. I really like all the tips you have here and I will keep them in mind when I get new shoes. I need new running shoes. The fabric on the front of mine is starting to come apart. I like the color of these. I will have to look for them when I am shopping. I really need a new pair of running shoes. These shoes look like they would be very supportive and I am in love with these colors. They totally match my running clothes. I am also in need of a new pair of running shoes soon, but my feet tend to run on the wider size. A lot of shoes tend to hurt my feet. Awesome review! My hubby had been using a different brand for his runners. I have an Asics myself but haven’t updated it in a while. I cant wait to check this out. I love the style and can use an upgrade. I love to go back on running and I am still checking out which running shoes to use and I guess I will consider this one too. I don’t own any asics yet and I’d love to give it a try. I am sure it would not disappoint. Okay, it’s good to know that you didn’t take too long to break in the shoes. My feet are wide so when shoes are too tight, they get really uncomfortable for me. I would really love to try these shoes. I just recently started working out again and my feet get really tired and sore quick. Asics are one of my fave brands of running shoes. Great review. They’re not as pricy as they used to be and they really are one of the better quality brands on the market. I’ve never tried Asics because I can never find a color scheme I like. However, I really like these blue ones! Oh I am loving these sneakers! I need a new good pair! I wish I said I was a runner but I am not and most days I don’t even walk the way I should. Although if I did run I would like to check out these shoes as they look comfortable and I like the color they came in. And being able to shop on Amazon would save me time.